It’s every parent’s worst nightmare: the call that comes in the middle of the night. When Kat Jenkins awakens to the police on her doorstep, her greatest fear is realized. Her nine-year-old son, Ethan, is missing--vanished from the cabin where he’d been on an overnight class trip. Shocked and distraught, Kat rushes to the campground, but she’s too late; the authorities have returned from their search empty-handed after losing Ethan’s trail in the mountain forest.Another mother from the school, Stef Huntington, seems like she has it all: money, prominence in the community, a popular son and a loving husband. She hardly knows Kat, except for the vicious gossip that swirls around Kat’s traumatic past. But as the police investigation unfolds, Ethan’s disappearance has earth-shattering consequences for Stef, as her path crosses with Kat. As the two mothers race against the clock, their desperate search for answers reveals how the greatest dangers lie behind the everyday smiles of those they trust the most. 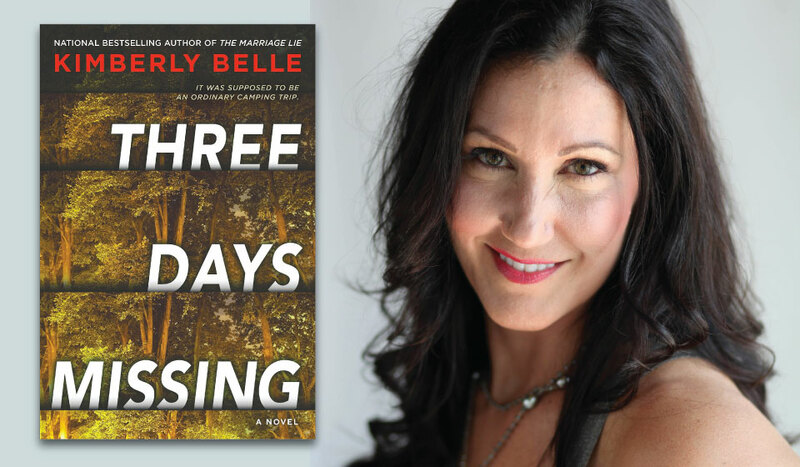 Kimberly Belle worked in marketing and nonprofit fund-raising before turning to writing fiction. A graduate of Agnes Scott College, Kimberly lived for over a decade in the Netherlands and currently divides her time between Atlanta and Amsterdam. She is the bestselling author of THE MARRIAGE LIE, as well as THE LAST BREATH and THE ONES WE TRUST.